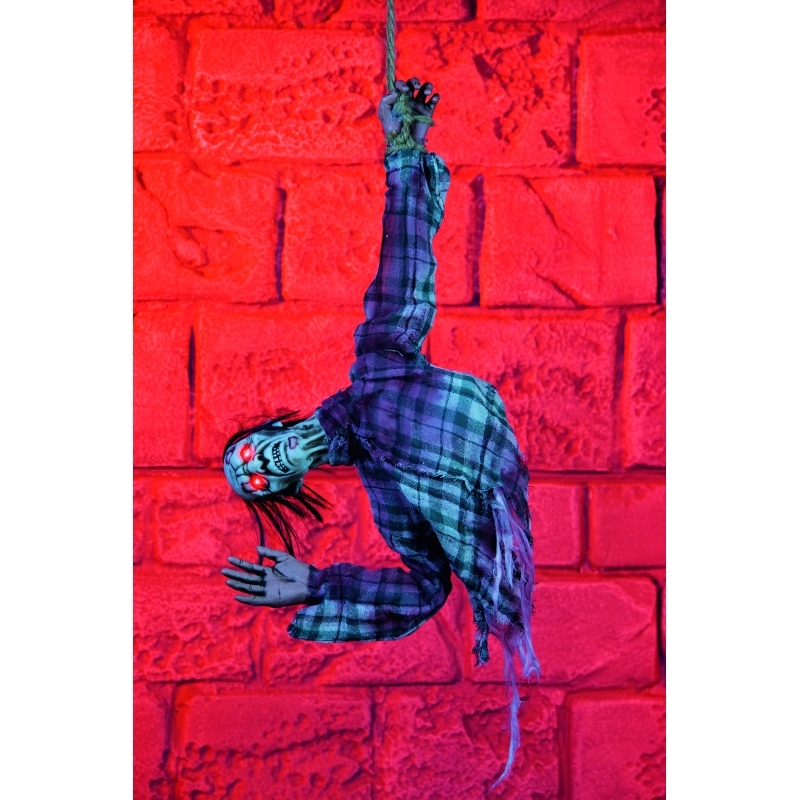 Another great Halloween Decoration.This Hanging Zombie Body is identical to the one that hangs from our larger Reaper with Victim Horror Prop. When activated by a built in sound sensor, he thrashes around in a crazy fashion. This grim character also has sound and flashing eyes.